Today marks the one-year anniversary of CNN Philippines, and what better way to celebrate this milestone than with a promo plug. Splashing its roster of anchors, hosts and correspondents, the video headline reads "It's been one year, and we're just getting started," followed by greetings from CNN newsers all around the globe. 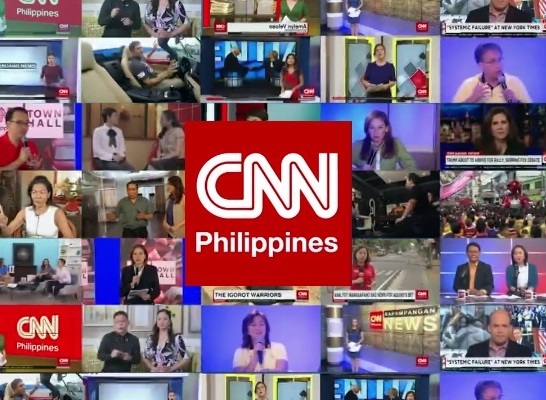 In a separate video, CNN's Chief International Correspondent Christiane Amanpour congratulated the network saying, "Happy birthday, CNN Philippines! You've had a very great first year, may there be many more!" Thank you, CNN Chief International Correspondent Christiane Amanpour! 2015 had been a difficult year for the local CNN station. Not only did the rebranding fail move the ratings needle, many have also criticized the network for its lack of live news coverage, original reporting and local programming. To top it off, some of its leading anchors have also been perceived by viewers and MNP readers as lightweights against their ABS-CBN News Channel and GMA NewsTV counterparts. The good news is in the last couple of weeks, the network has been gaining momentum and has been seeing an uptick in public perception, thanks to the key changes implemented by Emmy award-winning journalist Armie Jarin-Bennett, who was brought in November as its executive vice president and managing editor. In the months since joining the network, Ms. Jarin-Bennett has reorganized its operations — changing how they cover and structure their stories — and promoted two of their top-tier talents — Claire Celdran and Karen Jimeno — while also actively overseeing its daily news productions including the newly-launched morning program New Day. Taking a page from CNN International's playbook, she has also expanded their news coverage by adding multiple editions of Newsroom, and is planning to add more this year along with a series of new current affairs programming. It's been one year, and we're just getting started.